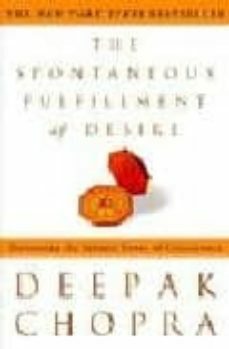 As elegant as his bestselling How to Know God and as practical as his phenomenal The Seven Spiritual Laws of Success, this groundbreaking new book from Deepak Chopra contains a dramatic premise: Not only are everyday coincidences meaningful, they actually provide us with glimpses of the field of infinite possibilities that lies at the heart of all things. By gaining access to this wellspring of creation, we can literally rewrite our destinies in any way we wish. From this realm of pure potential we are connected to everything that exists and everything that is yet to come. "Coincidences" can then be recognized as containing precious clues about particular facets of our lives that require our attention. As you become more aware of coincidences and their meanings, you begin to connect more and more with the underlying field of infinite possibilities. This is when the magic begins. This is when you achieve the spontaneous fulfillment of desire. At a time when world events may leave us feeling especially insignificant and vulnerable, Deepak Chopra restores our awareness of the awesome powers within us. And through specific principles and exercises he provides the tools with which to create the magnificent, miraculous life that is our birthright.